Are you looking for a professional and reliable plumber in Glenhaven? McMurray Plumbing is a reputable plumbing company that has been in operation for more than 15 years. The vast experience of our plumbers allows us to provide fast, affordable and excellent services to all of your plumbing needs. Feel free to contact us today through 0404 400 200 and our trained craftsmen will work carefully with you through the details of your plumbing emergency. 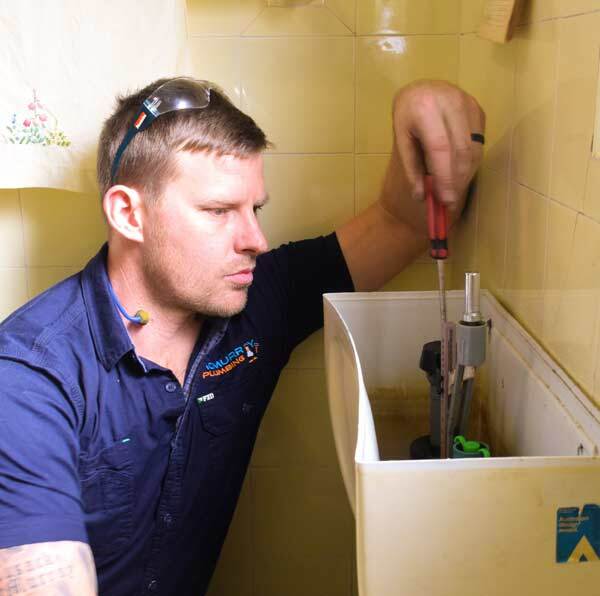 Emergency plumbing– We understand the urgency required in solving plumbing emergencies such as clogged toilets, blocked sinks, clogged drains, choked sewers and overflowing toilets. We also work on water hammers, leaking taps and faucets. Gas fitting– Our crew are gas certified experts that will help install your gas cooktops, gas heater, gas water heater and LPG bottle installations. We also respond to gas leaks and repair the damages piping. Hot water installations– Our qualified plumbers will quickly and efficiently install that new gas or electric hot water service for you. Hydrojetting– Our modern, state of the art hydro jetter will remove any blockage from your drains and sewers after a storm. The water jet also cuts through nasty grease and oil clogs. We have the experience- Steve McMurray has been in the plumbing industry for more than 15 years. With hundreds of successful projects under his belt, he is your best bet for consultation and fixing of all your plumbing emergencies. Quality Craftsmanship- All our crew members are trained, qualified and accredited to handle all plumbing repairs that you may need. For that LPG bottle that you need installed, contact us and we will be there to fix it in a fast, secure and safe manner. To all Glenhaven residents looking for quick plumbing services, McMurray Plumbing got you covered. Give us a call today on 0404 400 200 and get a free customized quote for your plumbing needs. You can also drop us an email at steve@mcmurrayplumbing.com.au. We will get back to you in no time. Our plumbers service all Hills District suburbs.